The Häagen-Dazs Spirits Collection is rolling out to retailers nationwide in the US. The new line of rich, creamy, spirit-infused desserts includes five indulgent ice cream flavours, a new cookie square and a decadent non-dairy option. 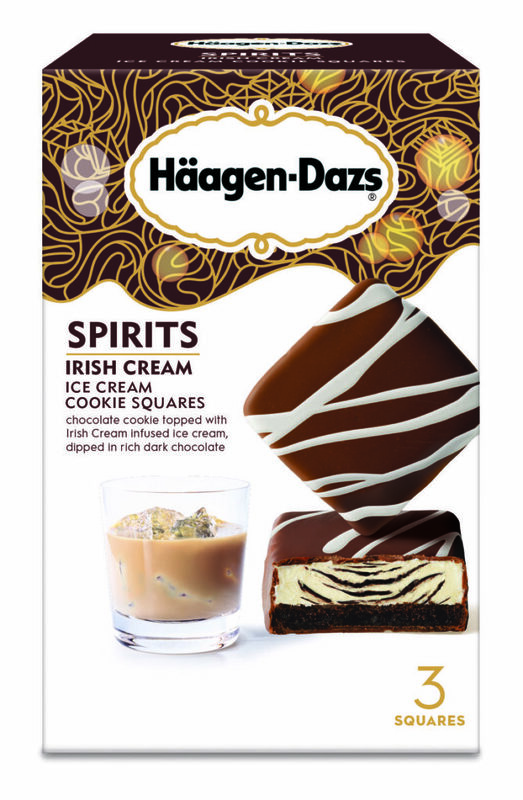 The Häagen-Dazs Spirits Collection is making its way to freezer aisles nationwide now and will be widely available by April 2019. All flavours are available in 14 oz. cartons (and in a 3-ct. package for the Cookie Square) at a suggested retail price of $5.29. Products contain less than 0.5% alcohol, so you can indulge freely. Starting March 1, ice cream fans can also stop by Häagen-Dazs Shops locations for select Spirits flavours available in a cup, cone, sundae or premium milkshake.